Over Thanksgiving I ventured to Dallas to see my son and his family and my car was rear ended as I was sitting at a stop light waiting for the green light. 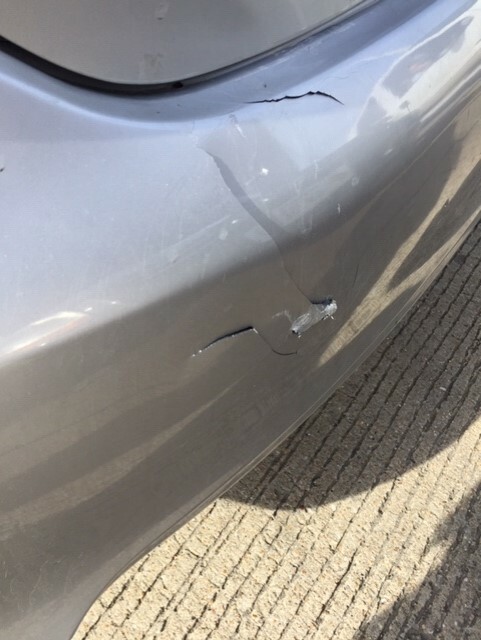 I was hit hard enough to hit my head against the head rest rather forcefully, but when I got out and looked at the bumper of my car I was pleasantly surprised that it did not seem so bad. The car that hit me did not fare quite as well and had to be towed because the radiator was rapidly losing coolant. On Monday I took my car to the repair shop anticipating being able to pick it up in a few days. Today I called and was dismayed to hear that there was way more damage to the car than initially estimated. When they took the bumper cover off, the damage was easily seen. I knew the trunk had big gaps on both sides, but the trunk and the steel body on both back panels had significant bends in them. So I wait while the insurance adjuster comes to take a look at the final damage and negotiates a new price for the repairs. After I hung up from talking with the owner of the body shop, I thought how much like life this incident was. We sometimes we do not recognize the untreated wounds that are lying beneath the outside facade, until we peel back the protective layers we have used. It is easy to throw out harsh words, to make heavy judgments and to hurt others. We often do not realize the results because it is hidden behind what is only seen on the outside. We have so many walking wounded among us. We have survivors of physical, sexual, and verbal abuse. There are those who have been told they are of no value, not pretty enough, not smart enough, not ___________ enough. Most of you can fill in the blanks from your own wounds. Like the master mechanic, God can see beneath the surface of our lives to the real wounds that lie beneath. He can heal the brokenhearted. He can set captives free. If you feel like you have been let down, abused, damaged, and only have the broken pieces left–have hope. If you feel like people can only see what is on the surface, be assured, God can see the inside. He can restore you even when you think you are beyond restoring. He loves you, wounds and all. Have faith and put yourself in the hands of the Master.